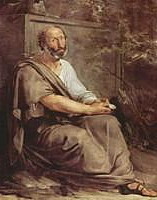 Aristotle has been one of the most important and influential figures in Western philosophy. He was the first to create a wide-ranging system of thought that included morality and aesthetics, logic and science, politics and metaphysics. Here are some profound quotes from his broad and diverse works. The basis of a democratic society is liberty.